On first hearing Ghostpoet’s aka Obaro Ejimiwe’s latest offering, one would be hit by the darkness of its timbre. The style in his previous three albums has tended towards bleak, but in Dark Days + Canapés, the journey we go on is especially deep. 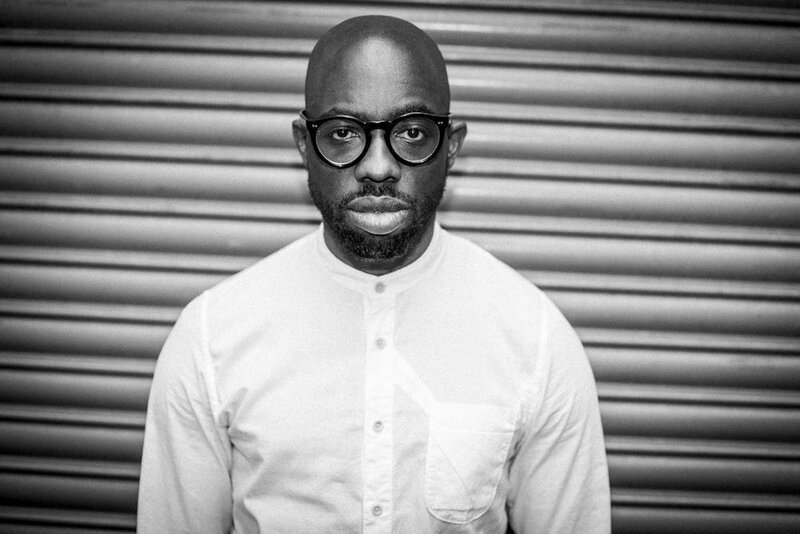 It is something that Ghostpoet intended in his process with producer Leo Abrahams, moving in a more guitar-imbued, structured style. In this beautiful soundscape drawing on everything in contemporary culture from dating apps to immigration, his haunting voice will stay with you long after. The album offers layered levels of distorted sonic moments overlaid with an intense subterranean vocal. The execution and depth of engagement from all of the players, especially EERA’s Nordic tonal quality are superb. She accents his beautifully scripted songs in her usual melodious articulation. I met with Obaro on a sunny afternoon, a few hours before his animated and excellent performance at Rough Trade East in London. It was hot, and he was due to perform that evening, but that didn’t stop the spontaneous bouts of laughter. Your music leans towards the dark, and I felt that this album was darker than your previous work. What would you say changed? Yeah, I agree. It’s differing degrees depending on who you’re talking to. It’s always an element that I go for, the kind of darker tones and it’s a reflection of the world as I see it. We’re living through dark times, and the music I make is always trying to be, as much as possible, connected to the current moment. The time it was made in. And this album was musically and lyrically made over the course of the last year and a half, two years so naturally, it became that. What was it over the past two years that most influenced the album? People have run away with that idea that this album is political. I guess it’s partly political. More kind of like a social awareness than political, I would say. There’s the Syria crisis, the migration crisis, and the constant wars that we seem to be connected with. Global warming, poverty, homelessness, all these general things seem to be in my mind, and you’ve got our battle with mental health, mortality, and I felt the need to write about them in some way or form on this record. Would you say there was also a personal battle? Is it just a reflection of what you’re seeing? Yeah, it’s a reflection of what I see and what I interact with and feel, but it’s also a reflection of me trying to make sense of what it is to be human. Like everyone else is. It would be cool to be like ‘I deal with a mental struggle’ (laughs), but not really, I’m not battling anything. I mean everyone is battling with their demons in some shape or form, and that is in there as well, but I never really write music that’s overly personal. There are little bits here and there that could be in a line or a general vibe of a song, but it’s never about me. Because I don’t want it to be about me, I want it to be about humans. So people can relate to it? For sure. That’s always been, and what I always wanted to do subconsciously in the beginning, and I just consciously do that more now. So that’s always the natural way to make music for me. What’s your relationship with technology when you’re making music? I write the demos at home, and there’s always a mixture of acoustic instruments and electronic elements in a very rudimental way. It’s a constant experiment. I’m not trying to reinvent the wheel but trying to make something that’s a true reflection of me and how I like to express myself and experiment. How else do you express yourself creatively? I do a bit of photography, and I do radio shows. I do a monthly show on Soho Radio, and I’m trying to start a radio station in Margate where I live. Margate has changed a lot, right? In the past five or six years. I moved there in December; it’s something I wanted to do for a while. I could try it here, but there’s a lot more scope to try bigger things there, it’s a bit easier to do things there. Yeah, Patti Smith to a certain extent. Just people who make interesting music, people with depth. I listen to everything; I had a passion for music before I started making music. I also find inspiration in everyday things, conversations and just waking up and doing life I think is amazingly inspiring. It’s interesting that you have such a varied list of people who inspire you. Do you feel like your music fits into a particular type of musical classification? In the past, you’ve been described as a Trip Hop or even a Hip Hop artist. I understand that they’ve gotta order things and I need to help people along. (Laughs) I’m making Alt Rock stuff now, and in the beginning, I just wanted to make sounds, and I still feel that way. But I get the whole genre thing, and I don’t purposely make music to fit into any genre, I just make music. I wanted to make music that’s more heavily guitar based and I’m lucky enough to be able to make the music that I want. The labels I’ve been on just let me do what I want to do, so I’m slowly being accepted for being as seen as someone who just makes whatever. Can you imagine yourself going off and doing something completely different? Not so much with this right now I like the direction I’m going in. I’d be interested in doing some side projects which involve more of an electronic approach. It’s about having the time and working out exactly what I want to do. Trying to separate in my mind and think ‘well, oh this could work for a Ghostpoet thing’. So it’s about working out mentally how to separate things. I would like to because I just like music and I don’t really want to do the same thing again and again. I also want to push the boundaries now that this has become a thing and I can do what I want with it, but there are parameters that I’ve set for myself, and so I can’t really go too far left or right. Out of choice. If I did a radical techno electronica record, I don’t know if it would work. I want to make instrumental Electronica music I want to do film scores, and that would be a departure from the Ghostpoet thing. I can imagine soundscapes in a gallery setting as well. Yeah, I would love to do that kind of stuff. That would be interesting if the opportunity presents itself I’m up for giving it a go. (Laughs) did it take a while to get there? I can’t remember now. My memory is going nowadays, who knows. Is there anything that you’d like to mention, anything I’ve missed out? No, laughs, it’s been quick but intense! Yeah, that’s me. Oh, before we wrap up, you grew up in South London, what do you miss about having moved out of London, if anything? Nothing really. I grew up in Tooting and Tooting was nice because it has a massive park and a lot of greenery. So that was always nice. But it was always away from anything of real interest to me when I was younger. Like gigs or music locally. It’s a sleepy little area in London, but it’s changed a lot recently, it’s quite surprising. But I guess that’s the nature of London now. I don’t really see myself. I mean, I didn’t want to die in the place where I was born. I would feel like I failed at life (Laughs). Obviously many people do that, so it’s not a problem, but personally, I want to travel a bit and get out. It’s the area that raised me, but I had to move on. Do you have any collaboration objectives? All of the collaborations I’ve done have occurred naturally through conversation. I don’t like the cold connection. Oh you know, I like this person let’s send an email to their manager, and I’ve done that before, and luckily it’s never worked because they didn’t respond and I’ve realised after that that it’s not the way I work anyway. I like the idea of it being a natural thing. First and foremost I’ve got to love what they do and this changes from month to month. What did you do in Tooting when you were growing up, music wise? I didn’t really get to see much live stuff until I was in my mid-20’s. It was really when I started making music and touring myself, that I started to see gigs regularly. I didn’t see anything of note that I can remember before then. Yeah, kind of. I just loved music. I loved everything. I can’t imagine a list where I would be only into one category, I just like everything. So with music, it was a case of me consuming everything that I could, I didn’t think about genre necessarily, I took on whatever felt and sounded cool to me, and this has definitely influenced the kind of music I make. There used to be this old HMV playlist, and when you bought a cd from them, they’d give you a playlist of what’s out this month, and it was all different. It was like Spotify, the analogue back in the day version, and I’d hear all different types of music, and then that would take me on a journey. I discovered Square Pusher and Aphex Twin and various Indie Rock bands and I kind of went off on different branches, and I kept going ever since. What would you like to see yourself accomplishing in the next five years? Wow, that’s like an interview question. (Laughs) On the one hand, I’m happy with what I’ve done. I’ve brought out four records, been reasonably successful; I’m doing what I love. What more do I want? On the other hand, there are much more people who haven’t heard my music. I want to reach more people, I don’t want to be a star, I want more awareness of my music, and I want to continue to be creative and not sell out (Laughs). I still want to be me and do what I love and be creative and happy. So, in five years time, I don’t want to sell out. What does selling out look like to you? I don’t want to compromise my art. Not compromising on what I make and how I make it and I’d rather be a mid-range league player but just be able to make what I wanna make rather than have a moment and then have to change just to keep those heights – it’s not what I want to do. That’s the pc version of selling out to me. 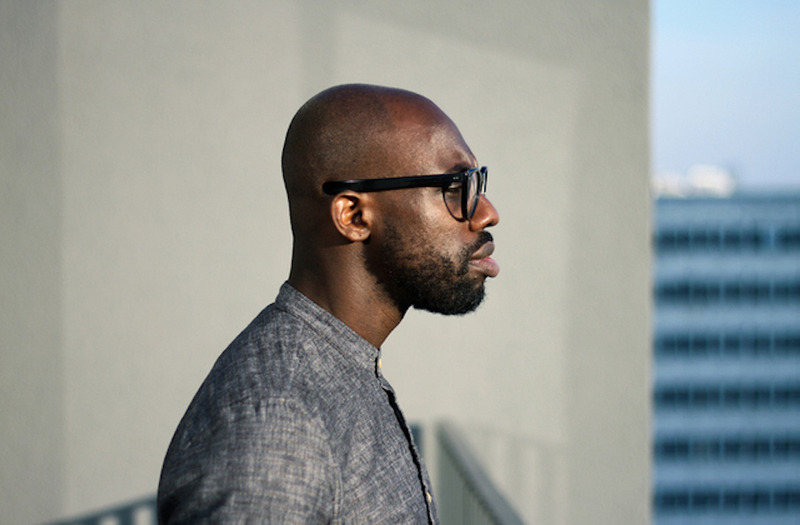 Dark Days + Canapés is available for purchase through the Ghostpoet website.